First, it is important to note that if it is a situation that involves domestic violence, and you are leaving because you are unsafe, it is a bit different. You may need to go to court to get what is called a “protective order,” which means the judge is telling the abusive spouse to stop abusing or harassing the person seeking the order. Child custody can be a very important part of deciding if and when to move out of the family home. Generally, the courts like to see living arrangements that minimize the impact on the kids when a divorce proceeding is taking place. This means that keeping them in a home with two parents is ideal. But, if one parent needs or wants to move out, just because the other parent stays behind in the home does not mean he or she will necessarily get custody. Because Colorado is what is called a “no-fault divorce” state, if you decide to move out, your spouse cannot – generally – use this against you. Nonetheless, the parent who stays with the kids may have an advantage in a custody dispute, just because he or she remains with and caring for the kids. If you are moving out, you need to make sure that you continue your relationship with the children, such as through in-person contact, phone calls, and email, in order to demonstrate to the court that you are still involved in their lives and taking care of them, as you would if awarded custody. In addition, if both parents sign in writing that neither parent is giving up legal rights just because one is moving out, this can help protect the rights of the parent that is leaving. Getting this document in writing before moving is wise. 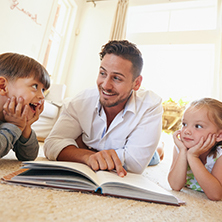 Last, asking the court to create a shared parenting schedule can further help you in deciding how to divide up parenting duties while living separately. The spouse who remains in the home does not automatically have a better legal claim to the property just because they remain there. Colorado divides all property in an equitable manner (which means fair, not necessarily equal). The judge will decide who to award the house to using a few factors, including which parent has custody of the children, each spouse’s contribution to buying the house, and the value of all property awarded to each spouse. The judge may in some cases demand that the house be sold and the money made from the sale be divided as well. In addition, the person who remains in the house may have to pay the other spouse who left for the benefit incurred by being able to stay in the house while the other spouse had to go find somewhere else to live. When moving out, make sure to generate an inventory (a list) – with photographs – of all the items that you believe are yours. When moving, make sure to only take items that you know are your personal items, like clothing or jewelry. 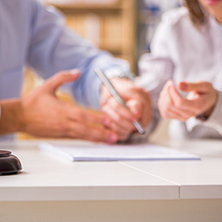 Finally, it is important to note whose name is on the mortgage and bills for the family house and to make copies of these documents because you will need to provide financial disclosures during your divorce process. Even if you move out, if your name is on those documents, you remain responsible to the creditors for paying those bills. However, temporary orders may be issued that apportion bills regardless of whose name is on the statement. While moving out generally should not affect your custodial rights or your ownership of the property, make sure to weigh all of the above when deciding whether moving out is right for you. These issues can be complicated, and emotional, because it involves a home you may have lived in for years with your family. It involves something you have built, and your children. 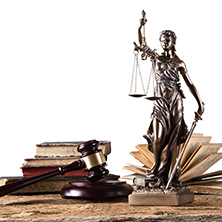 Having an impartial attorney there to assist with navigating the tricky legal elements of the process can be crucial to making sure your needs and rights are respected. 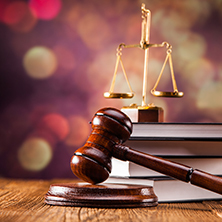 Contact the Law Offices of Kelli J. Malcolm today at 720-261-7287.